AMAZING Business Opportunity. 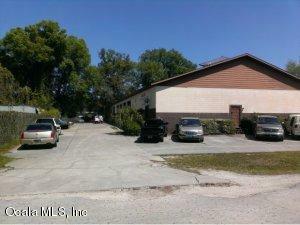 7500sqft CONCRETE BLOCK BLDG CAN BE USED FOR MANY TYPES OF BUSINESS', ZONED B5. HAS OFFICE, WAITING ROOM. BEST PRICE PER SQFT IN MARION COUNTY. Listing provided courtesy of Luis & Elisha Lopez of Ocala Realty World, Llc.